Hamlet is definitely one of the most popular sources of artistic inspiration in Polish literature and art. The myth of Hamlet as the symbol of the Polish intelligentsia was ridiculed and derided for political reasons many times in post-war Polish history. Konstanty Idelfons Gałczyński wrote three of his miniatures of the Theatre "Green Goose" to disgrace this Polish Romantic myth. [Note 43] The third, Hamlet and a Waitress, was a harsh commentary on a dangerous early sixties political reality. The restless Polish intelligentsia were an object of severe persecution in the name of Stalinist law and order at the time when Gałczyński's Prince was dying of "lack of decision and twisting of the bowels at the sharp bend of history" and one of the characters was writing on his coffin "Hamlet: an idiot" (Gałczynski, 1968: 56). In spite of this repression, a "Hamlet attitude" and hamletizing can be found not only in various dramatic texts, but also in poetry, grotesque, novels, and popular essays. As he himself admitted, Witold Gombrowicz wrote his play Wedding (1953) on the basis of Hamlet. Permeated with dramatic situations and motifs taken from Shakespeare's model, his drama becomes a philosophical meditation on the crisis of value. 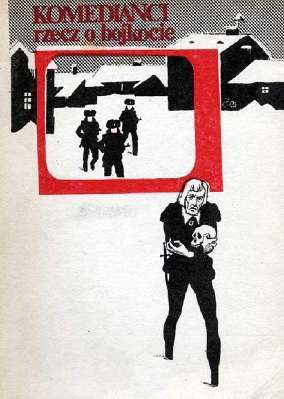 Sławomir Mrożek's Tango, often called "The Hamlet of The Polish People's Republic" (1964), is also full of interpretative analogies to Shakespeare's original. It is a play about dictatorship, violence, Stalinism, conformism, and a sneer at intellectualising about Hamlet. The significance of this episodic character increased in the Polish interpretation of the play to the extent that in many theatrical renderings he was either treated as a symmetrical figure to Hamlet, or in many alternative versions of the play, he became a dominant figure in the action. Jerzy Żurek's presents Fortinbras, initially an idealist, slowly becoming influenced by Lizon, a sober realist and political pragmatist. 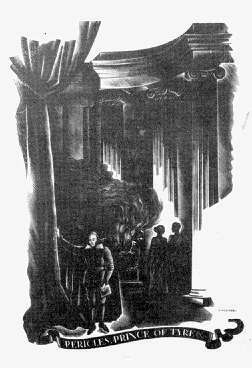 The ending of the play, which reflects the ending of Shakespeare's original makes the audience assume the role of Horatio. Only the theatregoers know what really has happened. Denmark's future under Fortinbras's rule looks grim, since he has become another ruthless representative of the Great Mechanism of Power. The action of the play, located in Norway, runs simultaneously with the action of Shakespeare's Hamlet. It begins with the news that a specially trained secret agent has been sent to Denmark to "enact" the role of Hamlet's father, and it ends with Fortinbras's peaceful exposition over the dead bodies of Claudius, Gertrude, Laertes, and Hamlet. The mechanisms of politics become seemingly absurd in this play, though in reality the absurdity becomes a horrifying commentary on the immortality of brutal political life and institutions. Though the future belongs to the living, Fortinbras accuses Hamlet of having chosen an easy way out, subsequently making unfair claims to glory and fame. . . . The speaker is sorry for himself and the attributes of power have no appeal for him . . . Fortinbras will do the dirty job, meaningless for posterity, while Hamlet's fame will never fade. The cover of Komedianci rzecz o bojkocie, Warsaw 1989. Click on the image to see a larger version. In addition to Hamlet, many other of Shakespeare's works (e.g. The Tempest, King Lear, Macbeth, and the Sonnets) have served Polish poets as an inspiration or an intertextual reference. Commenting on the long-lasting tradition, Gibinska draws attention to the latest examples present in the poetic output of Tadeusz Rozewicz, Roman Brandstaetter, Zbigniew Herbert and Wislawa Szymborska, and concludes that in the second half of the twentieth century a new quality of Shakespeare's presence in the Polish poetry emerged. Shakespeare's texts have become an important factor in the fabric of the intellectual recognition of the difficulty of man's relation with whatever is inside or outside him. . . . Shakespeare is always the Other who cannot be appropriated into I, but may be questioned and tested, followed or negated, insulted or rewritten. We witness at present the end of the Polish Romantic model of appropriation found in the poetic works by Mickiewicz, Slowacki, and Norwid, who "refract[ed] the Shakespearean vision into the poet's own, claiming that 'Shakespeare is me'" (Gibinska, 1999:116). 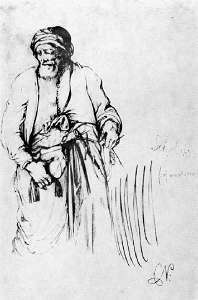 Cyprian Kamil Norwid, Shylock, drawing 1848. 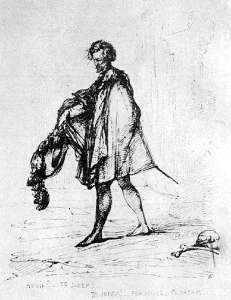 Cyprian Kamil Norwid, Hamlet, drawing 1850. With the increasing popularity of Shakespeare's works, various motifs taken from his works have appeared in Polish pictorial arts. Hamlet has most frequently served as an inspiration for Polish painters, who over centuries demonstrated their interpretation of this play in their works (cf. Cyprian Kamil Norwid, Władysław Czachurski, or Wlastimil Hofman). [Note 46] The first great painters who took up the Shakespearean themes in their works were Aleksander Gierymski (1850-1901) Władyslaw Czachorski (1850-1911), and Maurycy Gottlieb (1856-1879). Their fascination with Shakespeare started in Munich where, as students in the Academy of Fine Arts, they were encouraged to paint "A Scene from The Merchant of Venice." Michał Andriotti (1836-1893), an outstanding Polish draftsman and illustrator of many publications, deserves special attention here, since his art was also appreciated abroad. 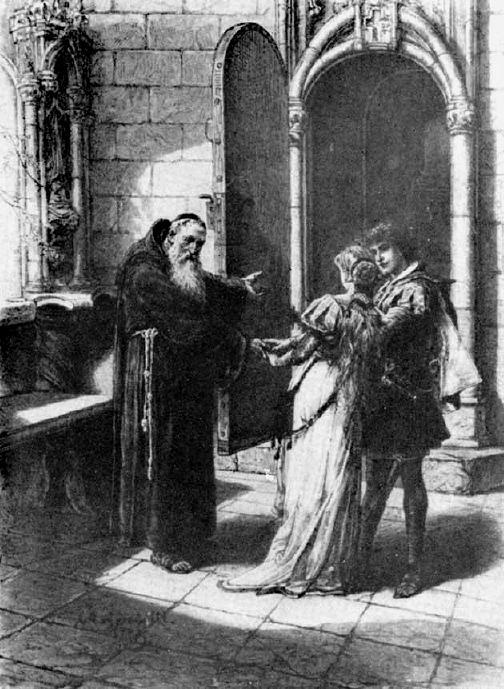 In 1886 he was commissioned to prepare the pictures for the edition of Romeo and Juliet by the French publishing house Firmin-Didot. A similar distinction was given to Stanisław Ostoja-Crustowski (1900-1947), an eminent graphic artist. In 1935 he won the international competition to illustrate Pericles for an edition of the play by the Limited Editions Club in New York. The value of Polish painting renditions of Shakespeare's scene does not diminish with time. In 1999 Henryk Siemiradzki's picture Antony and Cleopatra was sold at an auction in Warsaw for 260,000 zlotys (roughly 65,000 US dollars). Elwiro Andriollo, illustration from Romeo et Juliette, Paris 1886. Stanislaw Ostoja-Chrostowski, illustration from Pericles, woodcut, 1940. The majority of the editions of Shakespeare's plays have also been illustrated by distinguished artists. The most famous is probably Henry Courtney Selous (1811-1890), whose woodcuts decorated the first full edition of all Shakespeare's works in Polish translation (1875-1877). [Note 47]. The beauty of his pictures has stirred the imagination of many Polish artists for ages. Stanislaw Witkacy was also deeply influenced by Selous's art. Some critics say that the majority of Witkacy's characters (madmen, suiciders, tyrants, ghosts, spirits, dwarfs, elfs) are, in fact, an intertextual reflection of Selous's pictures (Gerould, 1979: 533). Some actors and actresses have inspired artistic interest on the part of painters. Among them two pastels by Wyspiański belong to the Polish and international masterpieces in pictorial arts. They are the portraits of Helena Leszczyńska as Katherine in The Taming of the Shrew (1894), and Ludwik Solski as Sir Andrew Augecheek in Twelfth Night (1904). In 2000, the Polish Association of Painters organised an open-air symposium in Kazimierz Dolny near Lublin devoted to Shakespeare's works. The artists spent two weeks in this picturesque town on the Vistula River, painting pictures on various motifs taken from his plays. The culmination of their creative meeting was a gigantic mural--a teamwork of all the participants--that shows characters from Shakespeare's dramatic and poetic works.